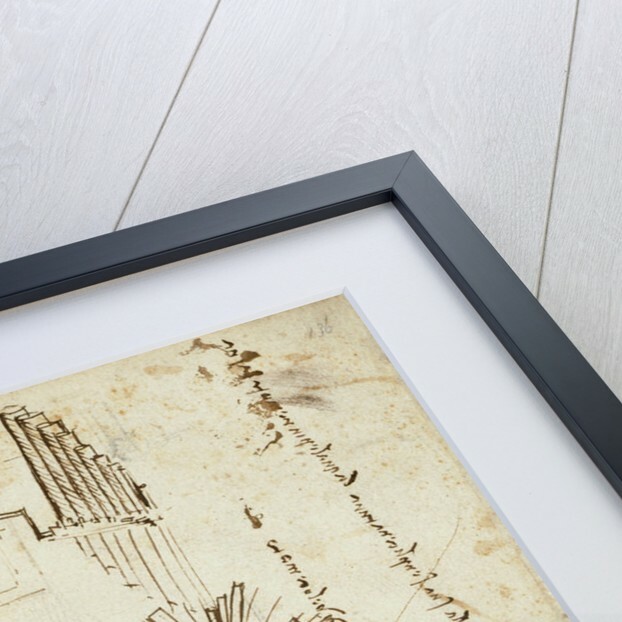 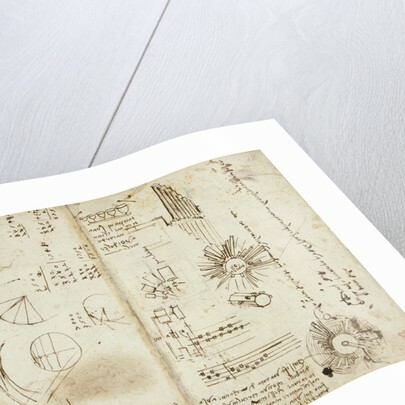 Drawings and notes from Leonardo da Vinci's rough book of observations, known as the Codex Arundel. 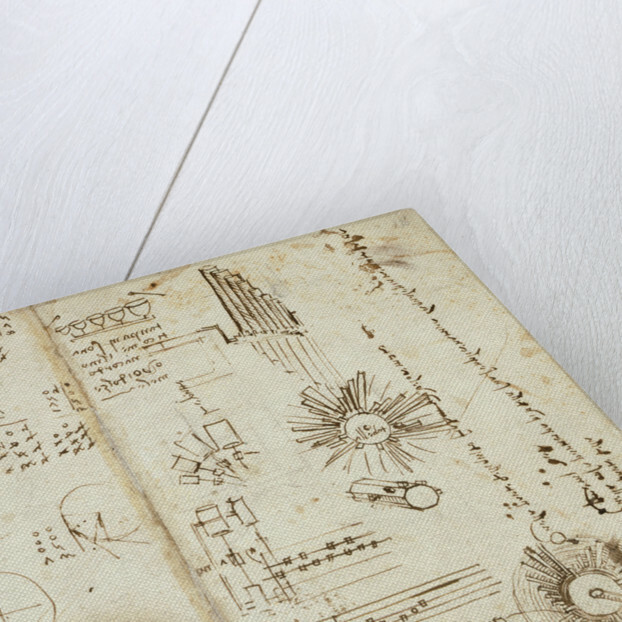 Written backwards in the author's own hand, and illustrated by diagrams and delineations. 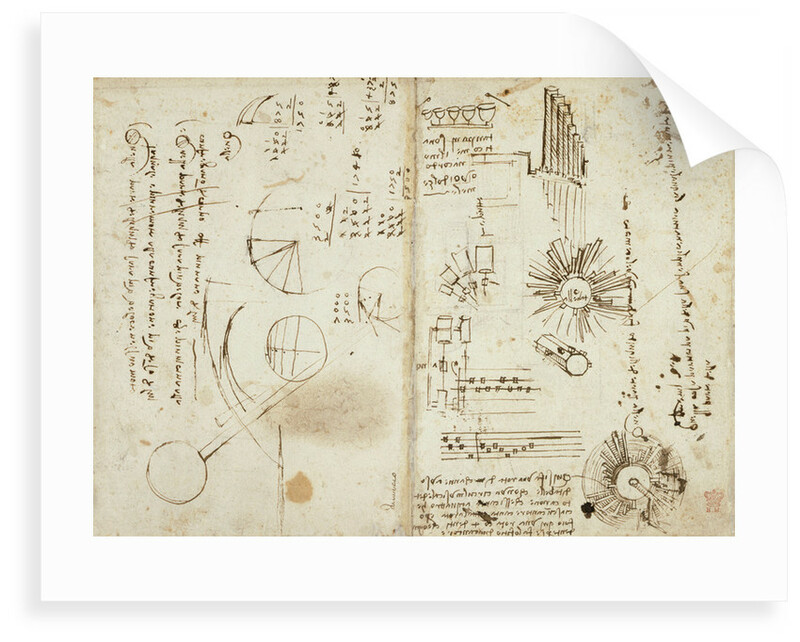 Leonardo Da Vinci's notebook covers a range of subjects, including mathematics, physics, and astronomy.